The Manchester International Festival invited 50 local artists to join their new arts programme, Creative50. 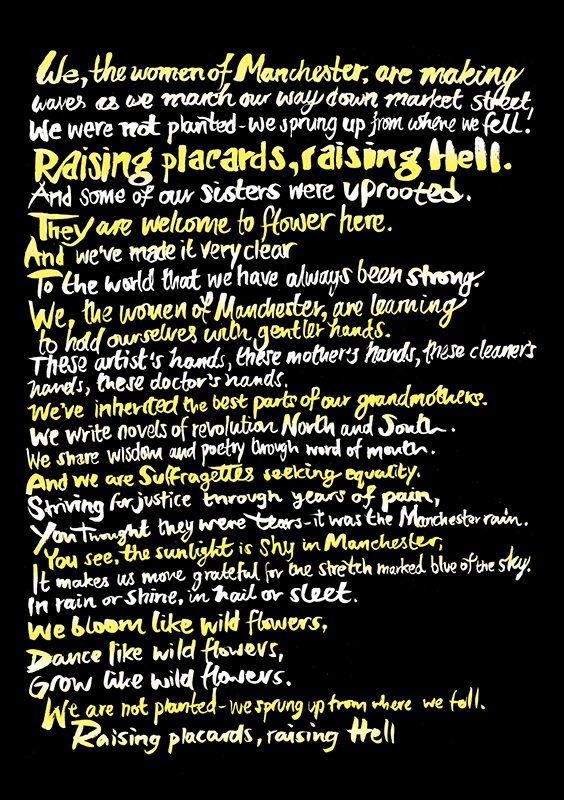 Nick Chaffe was thrilled to take part and collaborated with poet Ella Otomewo to illustrate WOMANchester; a powerful poem celebrating the women of the city, created in Nick's signature, hand drawn typography style. To see Nick's portfolio, click here. Nick Chaffe is represented by Meiklejohn. Published on 16 August 2017.